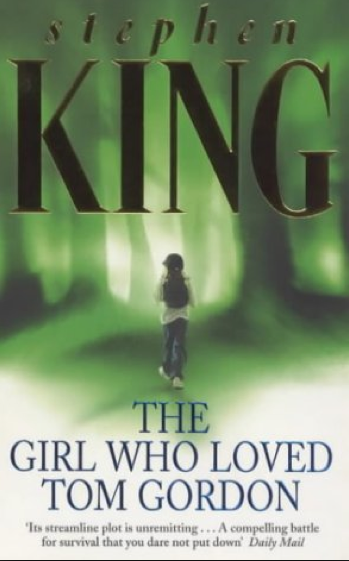 Book #58: The Girl Who Loved Tom Gordon by Stephen King is the kind of book that makes a person love reading. Master storyteller King tells the story as a series of innings. By the top of the third inning chapter I know I will get nothing done until I finish this book and find out what happens to the Tom Gordon loving 9 year old girl who is stumbling lost through the Appalachian Trail, hallucinating, starving, scared. I also know she will die, of course she will die, this is a Stephen King book. Oh wait, maybe she will start killing people first. Either way, I know Stephen King. This book is as fantastic as it is unpredictable. King's writing is delicious, his details engrossing and his soulful philosophy behind death-life-survival-horror is wise and kind. I put the book down long enough to dictate "It is God's nature to come in at the bottom of the ninth" into my iphone, then turn off the world and sink into the ending of the best G-rated horror-baseball-love story imaginable.